Try this easy way to hang out­door lights. 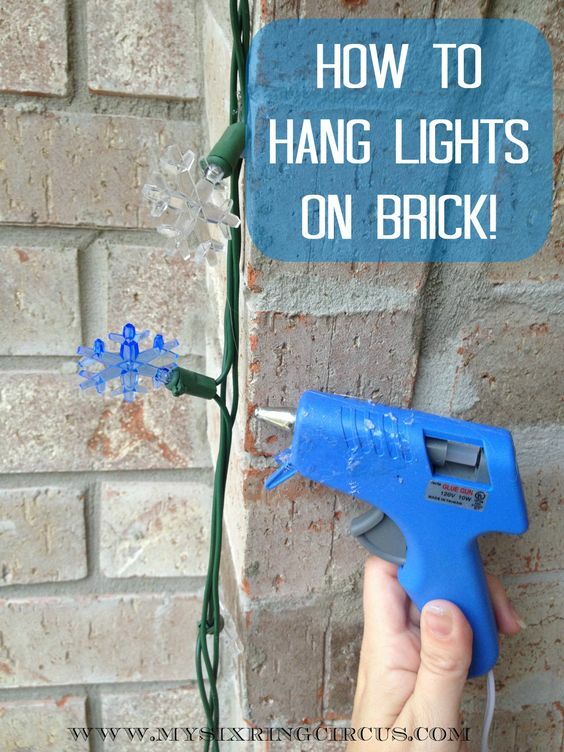 Use a hot glue gun to tem­porar­ily hang your lights this year with­out the fuss! Snow man crafts on Pin­ter­est came up with this neat way of re-purposing Pringles cans to hand out your home­made cookies! Dailypatio.com shows us how to cre­ate out­door trees on a budget. Make edi­ble gar­land with this Buzzfeed.com hack! Also from buzzfeed.com, what a neat way to enjoy hot choco­late! Freeze whipped cream with a cookie cut­ter and cookie sheet!